John Jacob Niles grouped his ballads according to their corresponding Child Ballad (Francis James Child was another ethnomusicologist who collected ballads in the United Kingdom in the 19th century), and so his book begins with songs derived from Child No. 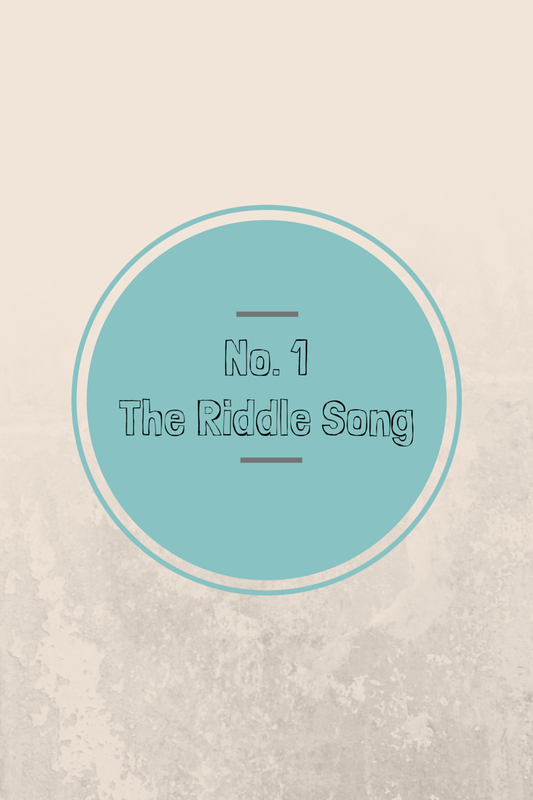 1, “Riddles Wisely Expounded.” Since we’re recording songs as they appear in the book, “The Riddle Song” becomes our first song in this project. 1. It has been performed, a lot. Unlike most of the songs we’ll do for this project, this ballad is very well known, and has been recorded many times. It even appears in a few movies. It is a little done. Our challenge, then, of making this song relevant today is all-the-more difficult. If we’ve succeeded, then we’re on the right track. 2. The reason why it’s so done, though, is because it is about the impossible realized. It is about paradoxes resolved, the way in which something that seems improbable proves true. In a sense, that means it is about quotidian magic: how wonderful that sleeping babies do not cry, that cherries in bloom are without stones. Through playing these ballads, we seek to reconnect with our ancestors – how marvelous then that what proved miraculous to them those decades ago still appears so to us today. 3. Dear Balladeer is, in some sense, a riddle unto itself. John Jacob Niles was an incredibly enigmatic figure, blurring the distinctions between folk song and original, fantastic and fact. So too, the truth of the folk song, so dearly felt, often lies just beyond reach, the stories that inspired these songs long past, their authors long dead. 4. It is a treasure of a lullaby. Sing it to your little one, as we have done, and feel the softness of the last line, “A baby when it’s a-sleepin’, there’s no cryin’.” Your hope, of course, is that by this line of the song you’ve lulled the baby to sleep. “How could there be a cherry that hath no stone? How could there be a chicken that hath no bone? How could there be a thimble that hath no end? “A cherry when it’s a-bloomin’, it hath no stone. A chicken when it’s a pippin, it hath no bone. A thimble when it’s a-rollin’, it hath no end. Awesome work Jonathan and Becca!!!!!!!!!!!!!!!!!!!!!!!!!!!!!!!!!! !